Timothy O'Sullivan was born in New York City in about 1840. As a young man he was employed by the photographer, Matthew Brady. O'Sullivan went to work in his Washington studio where he served his apprenticeship under Alexander Gardner. Soon after arriving back from the front Matthew Brady decided to make a photographic record of the American Civil War. He sent O'Sullivan, Alexander Gardner, James Gardner, William Pywell, George Barnard, and seventteen other men to travel throughout the country taking photographs of the war. Each one had his own travelling darkroom so that that collodion plates could be processed on the spot. 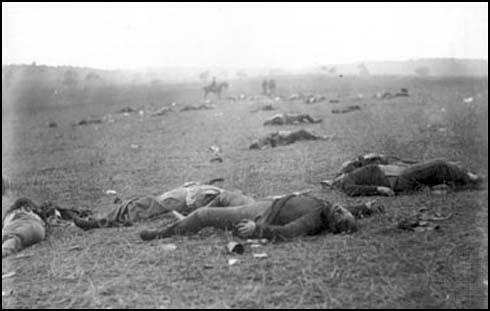 This included O'Sullivan's famous Harvest of Death, a photograph of dead soldiers at Gettysburg. and Dead Boy at Fredericksburg. Matthew Brady continued to take credit for the photographs taken by his employees. Unhappy with this policy, O'Sullivan, like Alexander Gardner, left Brady and established his own photographic business. In 1870 he went to Panama as a photographer and between 1871 and 1874 carried out a series of photographic surveys of the United States. 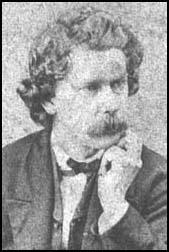 Timothy O'Sullivan, who was appointed chief photographer for the Department of the Treasury in 1880, died of tuberculosis in Staten Island on 14th January, 1882. (1) A review of the exhibition of the photographs of Peninsula Campaign called Scenes and Incidents appeared in the New York World in July, 1862.